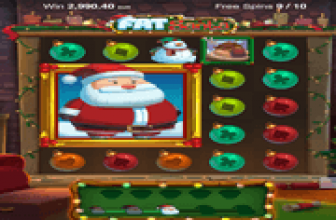 Fortune 5 Online Slot: Collect Big Bonus Wins via Banknotes! Fortune 5 is a 3-reel, classic-style online slot developed by Realistic Games for the NYX OGS platform. A set of 5 basic paying lines, 3 horizontal, and 2 diagonal lines, furnish patterns with which matched elements must conform in order to garner payouts. BAR, Bells, an assortment of fruits images, and even the Bonus icon occur as Stacked Symbols. The only element appearing in single-tiles are the Jackpot tokens. Yes, this Fortune 5 game has Bonus and Jackpot features. Both symbols though must also land as 1-of-a-kind contents of a paying line. Just like regular-pay elements, a winning Bonus or Jackpot combo must occur, starting from the far left position of any pay diagram. A winning Jackpot combi, simply pays out the maximum prize of 250x the current Total Bet. Bonus Symbols, on the other hand, add a little excitement. A mini Bonus Game in which purely Banknotes appear, awards a random bonus prize. Aside from the Jackpot icon, three (3) BAR Symbols in a payline also award a notable payout of 625x the Line Bet. Surprisingly, the second highest paying regular element is the Watermelon and not the pair of Golden Bells. Three (3) Watermelon images forming a winning diagram, draw a payout equal to 50x the Line Bet. Images of a Banknote, purportedly issued by Regal Gaming, land on reels as Bonus Symbols. Three (3) Banknotes composing a payline win, award a special payout; determined by way of a mini-bonus game. 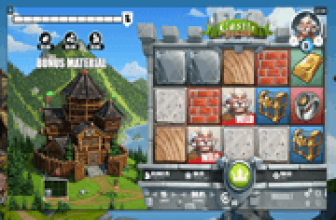 The bonus game grid contains Banknotes and Arrow Up or Arrow Down icons. Players initialise the bonus game by pressing the Spin button. After which, a flashing light will run around, passing through reel positions starting from the bottom. Pressing the Spin button anew, stops the flashing light from moving further. If the light lands on an Arrow Up or Arrow Down Symbol, the Bonus Game continues by highlighting and revealing Banknotes displayed on the row to which the arrow points. The total value carried by Bonus Symbols appearing on that row, will then be awarded as Bonus Prize. Yet if the light stops on a Banknote, the value of that object will be the payout. The great news is that this Fortune 5 Bonus game can be accessed repeatedly and without limit during a gaming session. Aĺl 5 paying lines are active during each spin. A Bet per Spin therefore comprises wagers for each winline. Fortune 5 betting options are presented as a range of Total Bet values between 0.25 and 200.00. Know beforehand that payouts are based on the Line Bet (Total Bet ÷ 5 Paylines) and not on the Total Bet. Fortune Slot : Collect Special Prizes from Jackpot and Bonus Symbol Payline Wins! 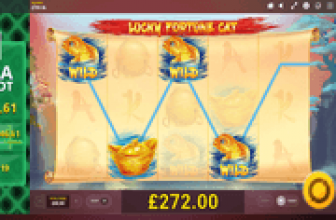 Fortune Slot online slot enriches a 3-reel play with Stacked Symbols including that of the Bonus icon, which awards a special prize determined by way of a mini Banknote Bonus Game. A top prize of 250x the Total Bet can also be won if the Jackpot Symbol completes a payline combo.